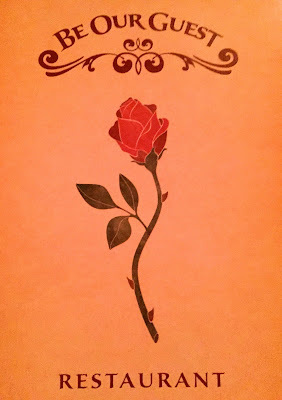 Picturing Disney: Everything you need to know about Be Our Guest Restaurant! Everything you need to know about Be Our Guest Restaurant! 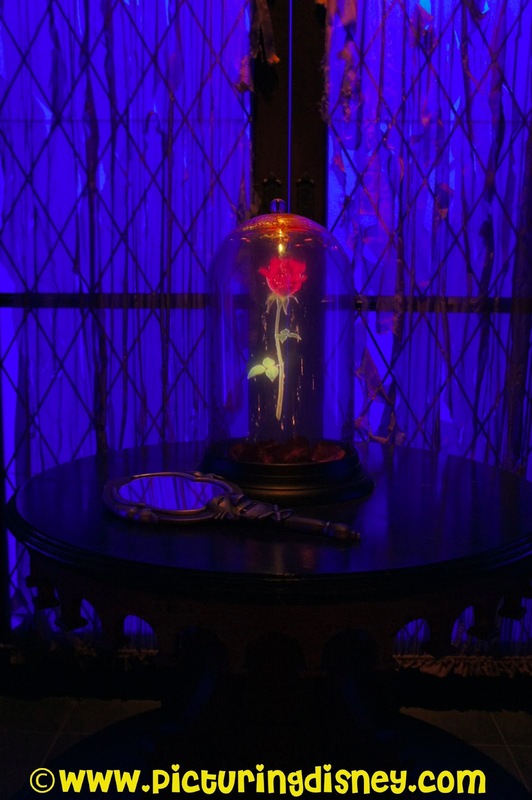 To sum it up: Book as early as possible and do not miss dining at Be Our Guest. There are 3 possible Dining Rooms you may be seated in at Be Our Guest restaurant. To your left upon entry is the West Wing. Here you will see a darkened room representing the Beast's most private room from the 1990s film. The theming is wonderful throughout the restaurant but the West Wing is particularly striking. The portrait of Prince Adam (the Beast's human self) hangs torn above the mantel and off toward the window sits the enchanted rose and magic mirror. The beautiful study is to the right of your entry-point. A gorgeous rotating statue of Belle & Beast dancing is the center piece of the grand room. Portraits of Belle and Beast feel like they are waltzing around the room. The grand banquet hall is my favorite room. The chandeliers! The light snow falling outside the window! Be still my romantic heart! Eating within the beautiful castle where Belle and Beast found love is a pure pleasure. The small touches are what make this dining experience so unique. You really do feel like you are enjoying a meal inside the Beast's castle. While we were ushered nearly directly to our seat our server made sure that we knew that we could wander about to check out the rest of the castle and on the way out of our meal we stopped and enjoyed checking out the different rooms in the castle. One of my favorite things is seeing the stained glass window from the prologue of the movie. After dinner your gracious and handsome host is waiting to meet you in another beautiful room! Is the Beast always there for pre or post meal photos? Is it a photopass picture? Thanks! !